A year before World of Warcraft came out, Linden Lab released Second Life, a virtual world that was supposed to be an alternative to this one but became for many a hopeful replacement. Over a decade later it looks archaic and feels almost quaint, but for the hundreds of thousands who still live part-time there, it’s worth considering why. Bridgette McNeal is one of the people still playing. She created an avatar in Second Life not long after it was released, gallivanting around it with her real-life husband. Sitting together in their house, the two would go on dates and curate their virtual lives, complete with a virtual home full of things they didn’t have in real life. 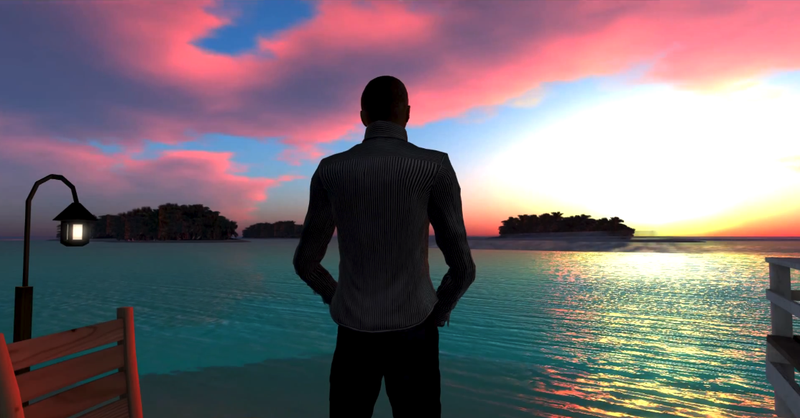 She likened the experience she gets from the game to the sense of freedom discussed in Virginia’s Woolf’s essay “A Room of One’s Own.” The restrictions and societal barriers of real life don’t exist in Second Life, at least not in the same way. McNeal’s time in the game was documented by Leslie Jamison in an essay from The Atlantic’s December issue. She and her husband have four children, including two with special needs, and Second Life helps provide a place where they can go an express themselves while not flouting their parental responsibilities. Another person Jamison spoke to was Jonas Tancred, a budding musician who began performing live for people in the game and eventually went on to have a child with one of the women he met there. And then there’s Alicia Chenaux (the name of an in-game avatar) who’s owner created an entire alternative nuclear family in Second Life. While Jamison makes an attempt to play Second Life and fall under its spell, her imagination doesn’t take, which leads her to wonder and reflect on the people for whom it has taken on the role of a surrogate universe inviting them in to live their best, most preferred lives. It’s often easy to dismiss people’s escapism when it’s presented in the abstract, free of context, but the experiences shared in the piece are too intimate and detailed to be scoffed at. The entire essay is worth reading.